DALLAS, TX--(Marketwired - July 19, 2016) - The number of renters in the U.S. is growing at a pace of more than 500,000 each year, with no signs of abating. Texas real estate developer Marcus Hiles anticipated the increased demand for upscale rentals, which is why his Estates brand delivers premium properties to those in the Lone Star State. "Renters are eager to embrace luxury living at affordable prices," notes Hiles, the Chairman and CEO of Western Rim Property Services. "Our five Estates communities offer signature amenities designed to appeal to singles, couples, and families who have chosen the rental lifestyle." Located north of Dallas in Aubrey, The Estates 3Eighty offers one- to four-bedroom apartment floor plans that feature soaring ceilings, expansive windows, chic granite countertops, and expansive living areas. Residents can be found at the dedicated Starbucks Wi-Fi café, in the private off-leash dog park, or working at one of the iMacs or PCs in the business center. "Our intention was to create the best of both worlds," Marcus Hiles recalls, "an exclusive lakeside escape that's a stone's throw away from vibrant nightlife and a thriving arts community." The Grand Estates in the Forest, situated north of Houston in Conroe, epitomizes the crème de la crème in rental living, with lush green spaces that adjoin the W.G. Jones State Forest, nearby golf courses, and verdant parks. "Residents appreciate the availability of a gourmet summer kitchen featuring farm fresh produce, as well as an expert personal trainer available to guide them to fitness," states Marcus Hiles. Nearby in Magnolia, The Estates Woodland offers tenants lavishly appointed apartments with oversized covered balconies and spacious walk-in pantries. Families enjoy the vast on-site central park and children's activity area, while other residents appreciate the extensive network of trails for jogging or walking. San Antonio's The Estates at Briggs Ranch attracts community members with a keen attention to detail, as apartments feature pendant lighting, crown molding, and garden tubs. Offering golf privileges and breathtaking golf course views, Briggs Ranch is also appealing to golfers of all skill levels. Estates communities are gated and deliver urban-style all-elevator access to every unit, along with with luxe outdoor and community spaces. Each has a resort-style swimming pool and tanning deck, on-demand concierge service, and high-tech fitness center. The brand's richly appointed apartments and townhomes, combined with resort-style amenities, beckon a wide swath of Millennials, young families, empty nesters, and retirees who are choosing a long-term rental lifestyle over home ownership. "Our tenants appreciate the exclusivity that the Estates brand provides as well as the flexibility that goes hand in hand with renting," Hiles concludes. "Our mission is to continue to deliver luxurious retreats that our residents can call home." Marcus D. Hiles' community-centric vision has inspired his real estate ventures and fueled his charitable giving. A graduate of Pepperdine and Rice Universities, Hiles is deeply committed to education and has donated over $2.5 million to programs serving everyone from kindergarteners to college students. 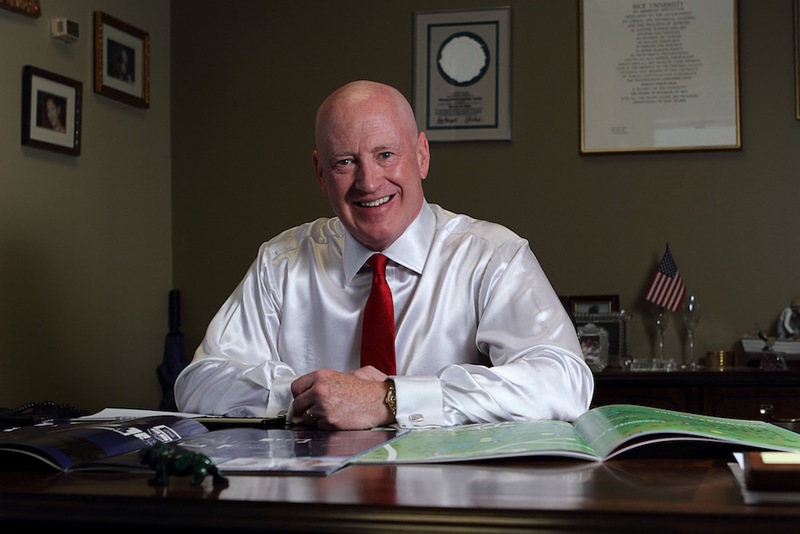 In addition, Marcus Hiles is fully engaged in environmental charitable giving, and has underwritten countless initiatives to improve public parks, lakes, and streams.